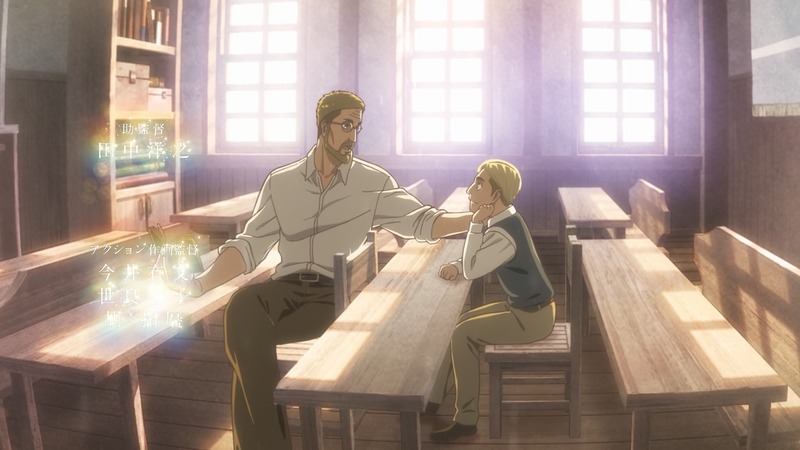 Erwin really matured at a young age. He’s barely changed at all. Sorry guys, life has been insane for me the past couple weeks. Going to try to keep up with this but I’m also moving in the next couple of weeks, so we’ll see. I’ll probably start reading the manga after this season… don’t want to wait .. hmm.. s1+2 covered 12/26 mangas. actually it’s not that bad. with s3, there should still be right NOW enough source left for another 16 episodes. So, season 4 probably in 1-2 years? yeah, I suppose I can wait that long. LOL i just noticed it. Take your time, i can wait for couple of weeks if i can get it from you guys. Thanks 10 Bit that’s damn Good. Your video quality is super good. Now that Lost Girls 3 is finally out, can we look forward to a release of that? Are you all trying to perfect the encodes because of LostYears? How many episodes behind are you all now? Where is the rest of the episode? I’m still waiting. i love how you do your Declassified Information! no point in preserving those japanese text if the subs is forcefully squeezed just to make it natural but not readable.